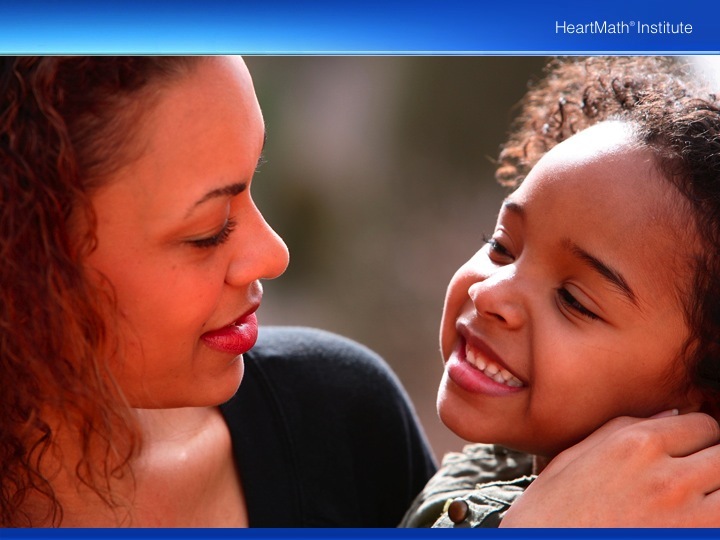 Parents: Explain to your child that he or she is going to learn how to send positive feelings from the heart. Parents: What do you care about? First, model this by telling your children who you care about. Ask who they care about? 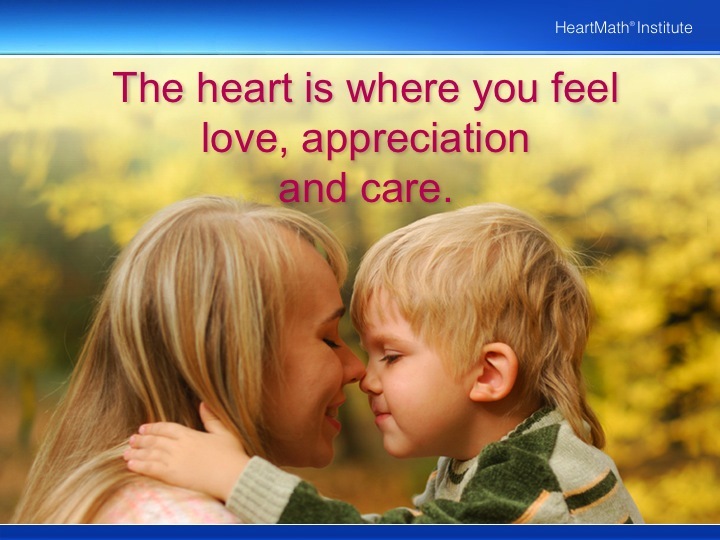 Where do you feel the love or care you have for someone or something? Put your hand over your heart (center of the chest) as a clue. 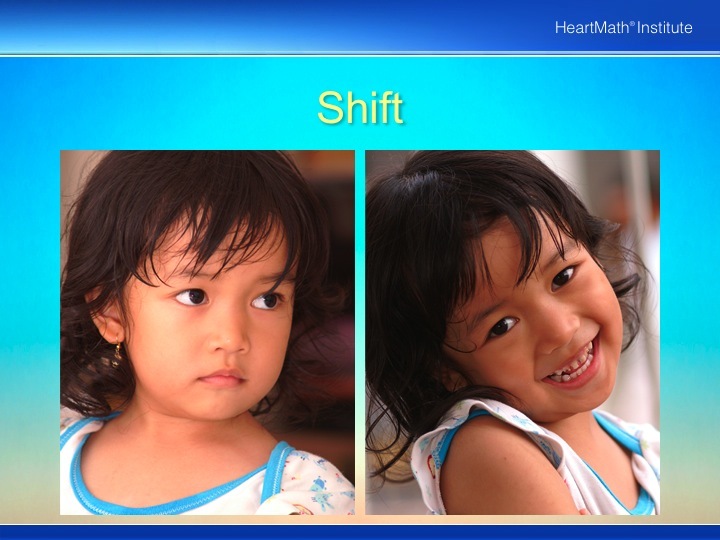 Parents: Tell your child: Shift means to move or change, such as going from sad to happy or moving from one place to another. 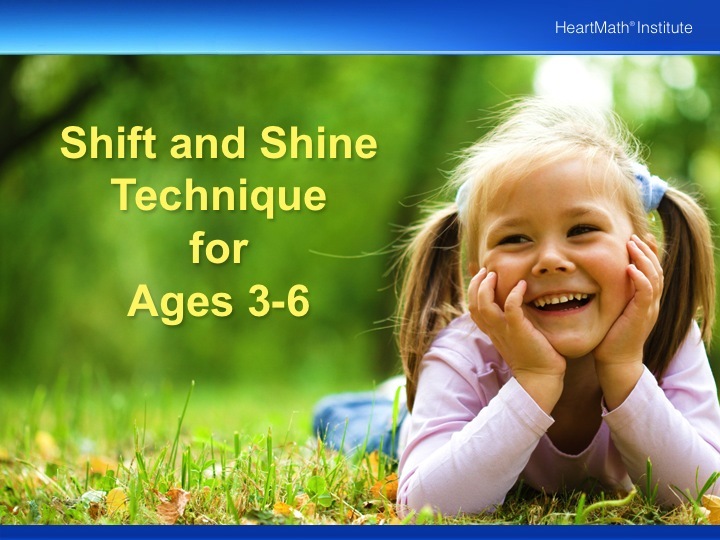 Demonstrate the meaning by shifting from one position on the floor to another. 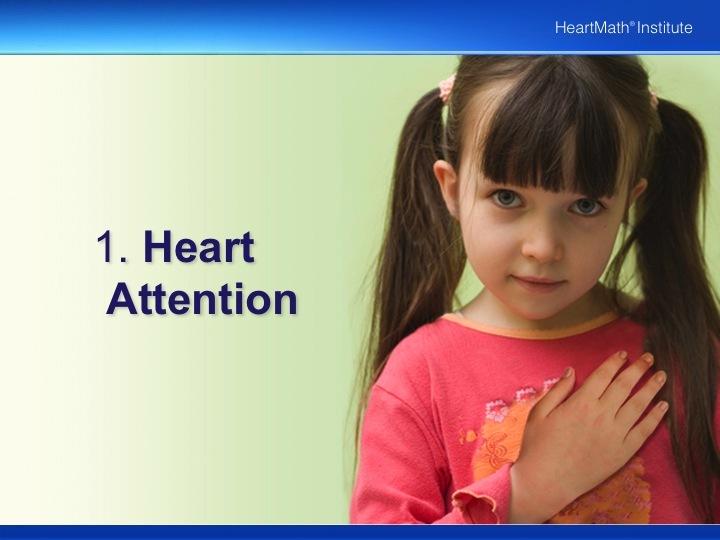 Parents: Step 1: Begin by putting your attention on the area around your heart – the center of your chest. Model this by putting your hand over your heart area. 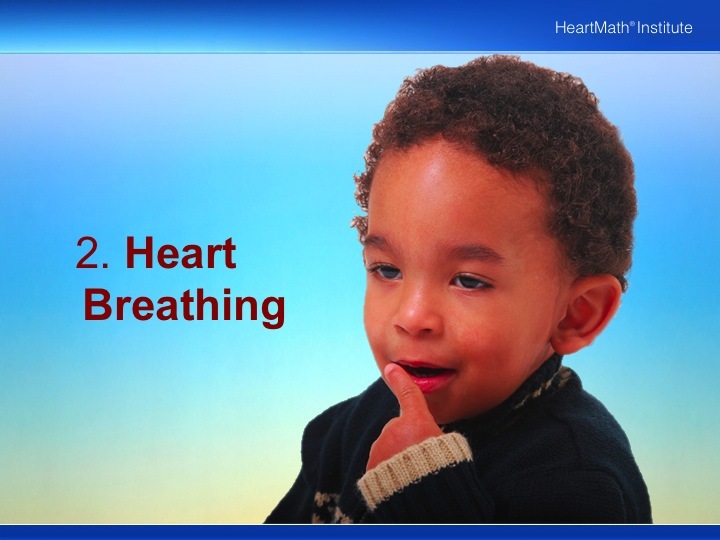 Parents: Step 2: Now pretend to breathe in and out of your heart. Take three slow breaths. Model the breathing. Parents: Step 3: Think of someone or something that makes you feel happy, like your mom or dad or a special place that you visit such as a park. 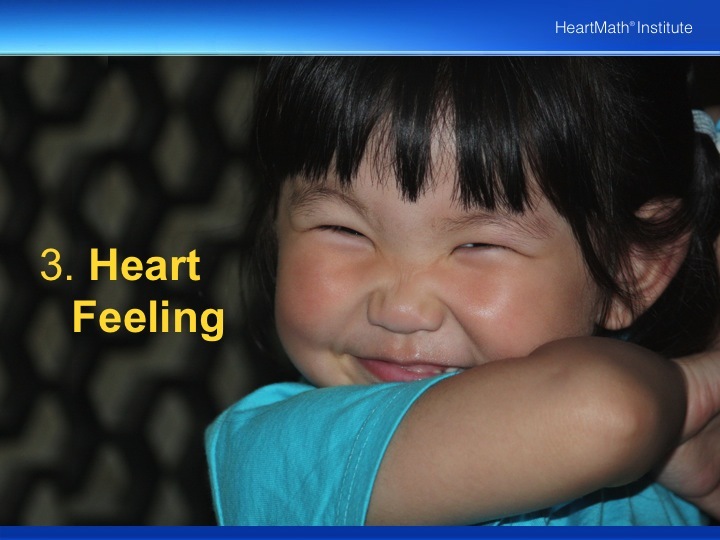 Feel that happy feeling in your heart and shine it to someone or something special. 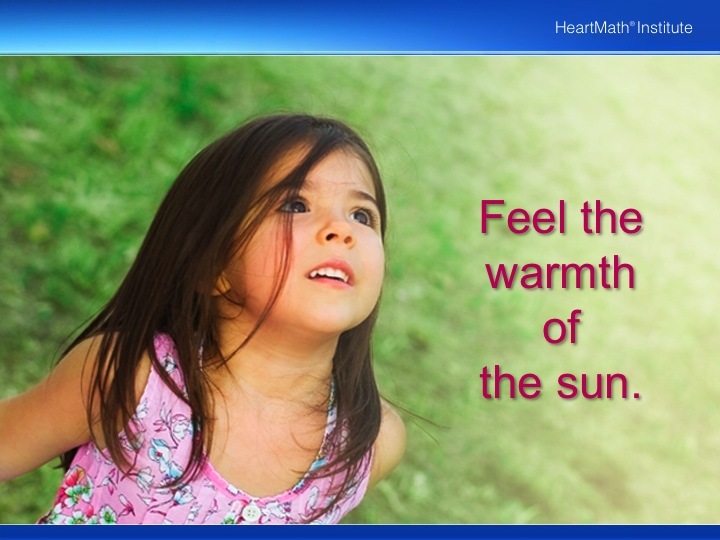 Let your child experience the feeling for a few seconds. Parents: Ask your child: Did you send your love to someone special? Thank your children for sharing your heartfelt feelings. 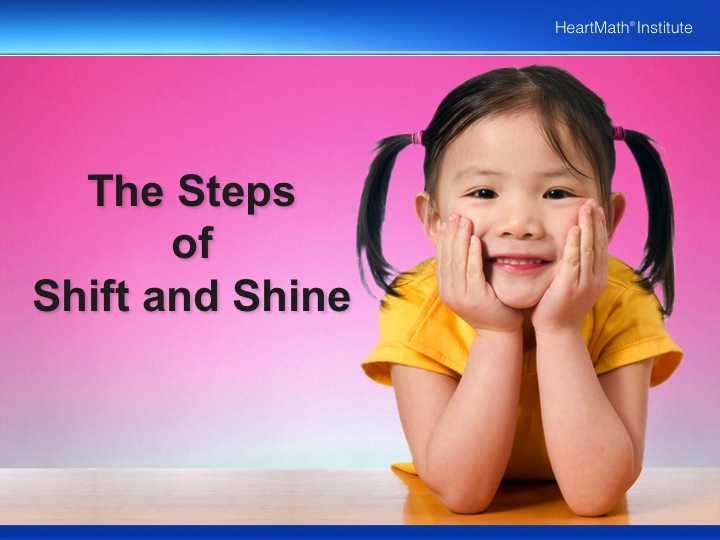 Click here for more HeartMath&apos;s Free Resources for Children Ages 2 to 6.